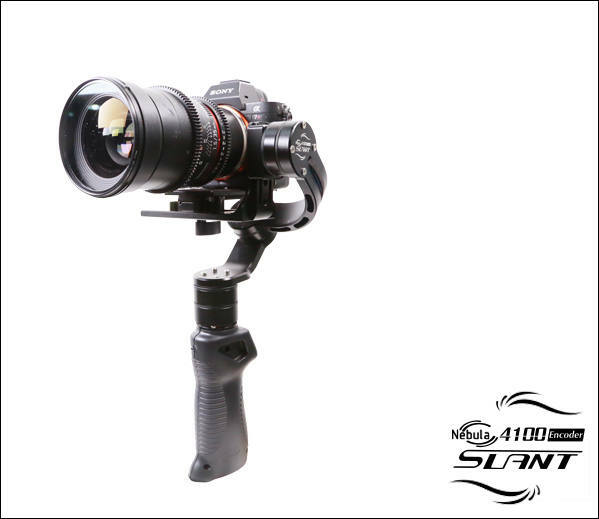 Be worth mentioning, the Nebula 4100 Slant is the most flexible one among the 3-axis Nebula gimbals, all because of its exclusive accessory, the 5-axis connection plate. This little optional item can be mounted onto the Nebula 4100 Slant as a joint part to connect a 5-axis spring arm/phone holder/Nebula Gyro Jib as needed. The Nebula 5-axis spring arm is a practical accessory for absorbing vibrations caused by user’s steps. 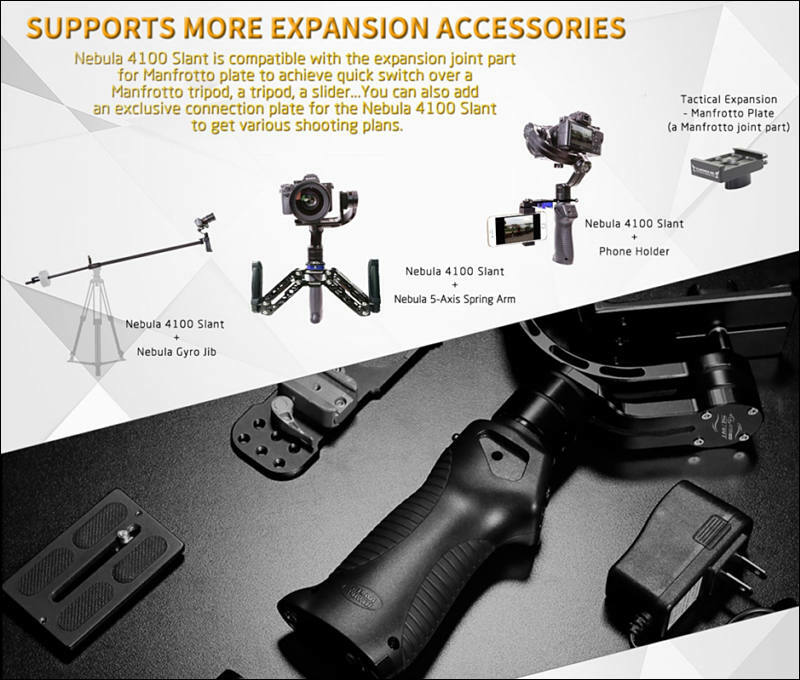 With the 5-axis connection plate, you can set the 5-axis spring arm onto the Yaw axis of the Nebula 4100 Slant, the eye-level is suitable for shooting.